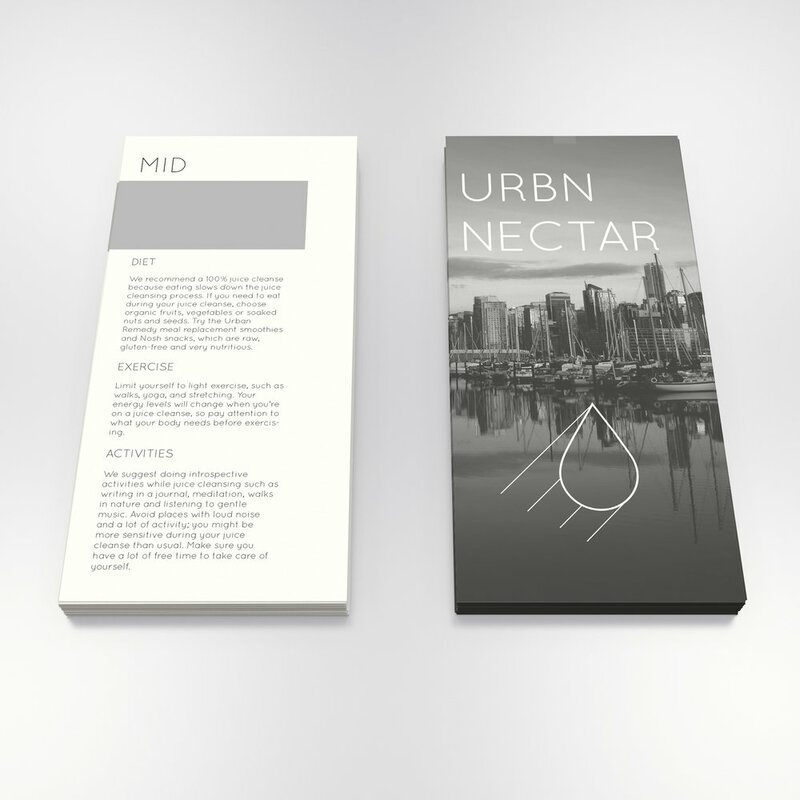 “URBN NECTAR” is a Vancouver based juice cleanse company whose emphasis is on fostering tight knit communities. The companies signature product is their one day juice cleanse, consisting of three detoxifying juices, instructional cards, and is delivered in an insulated cooler box. 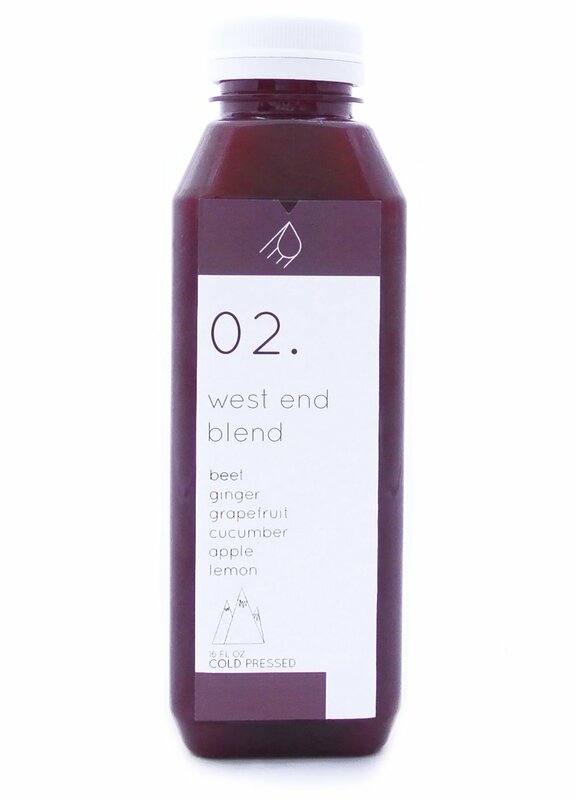 The conceptual purpose of the cleanse is to drink your way through popular Vancouver neighborhoods, enjoying the tips of what to see and do in each, which is located on each bottles rear label. A minimal approach to layout reinforces the idea of simplicity: in URBN NECTAR’s branding, as well as their juices ingredients. The usage ofcolour on each label relate directly to the juice flavor, as well as the corresponding area of the city shown through illustrations of recognizable landmarks .